On a daily basis therapists prove that methods and tools they use for each unique client work. However, every diagnosis is unique and contains unique clinical goals. As a clinical community, how do we know that a specific tool is helping? How do you prove it? We appreciate therapists who think outside the box on behalf of their clients, and who utilize tools outside of standard methods. Examples include therapists trying TheraTogs on a child with Pompe’s disease and providing us their findings, and another tried with an infant with Prader Willi and reporting to us that their results tell them that TheraTogs will be helpful for this client base. Reporting and documentation is valuable! How You Use TheraTogs matters. Not just to us, but also to other therapists and caregivers working with children or adults with similar indications and diagnoses. Please provide us your findings, outcomes data, and any information about specific results that might make a difference in the life of another patient who hasn’t yet tried TheraTogs or used our products in the same way you have, but could in order to see similar outcomes. Siracusa C, Taynor M, Geletka B, Overby A. 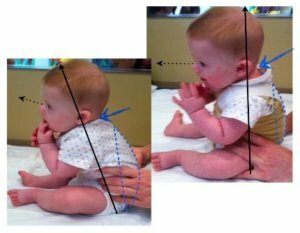 (2005) Effectiveness of a biomechanical intervention in children with spastic diplegia. Pediatric Physical Therapy 17(1): 83-84. Detailed Abstract, Pediatric Physical Therapy (PDF) Poster Presentation. Video case study From Dr. Karen Pape: Body centering, stable core, limb input, brain input through postural control. Infant, Wunzi: 20% gain in GMFM, click here to read about this case. 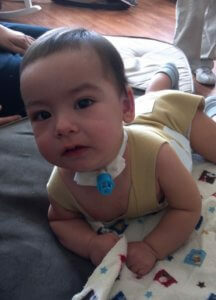 Infant, Wunzi: Gain in Left Side Engagement, Posture, Tummy Time. Click here to read more about this case.